The USMC Bronze Cremation Urn is a beautiful bronze urn embellished with an ebony colored panel that is the perfect background for the antique bronze-colored US Marine Corps medallion. This urn is fabricated from thin bronze plates that have been welded together but no seams show from the outside; it looks like it was cast in one piece. This urn is loaded from the back by removing several screws and a bronze plate. As with any urn, it is important to keep the cremains in a sealed plastic bag inside the urn. This urn can be engraved below the military medallion for an additional fee. 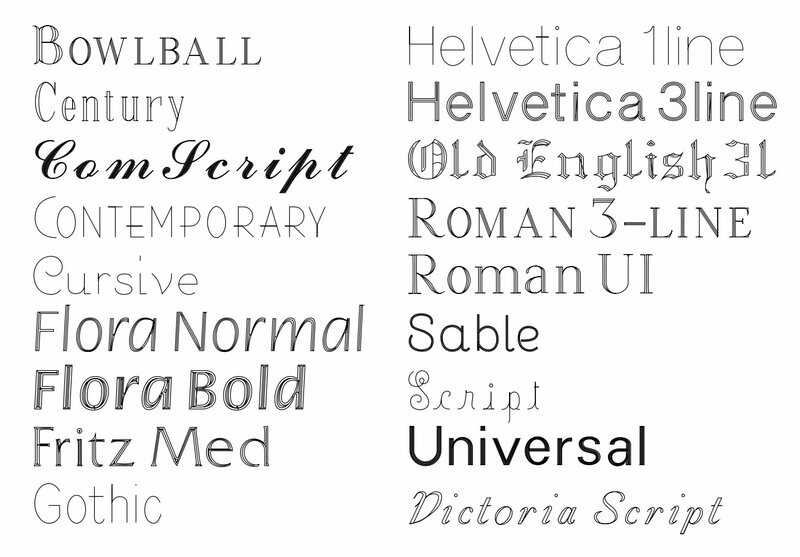 Please see the Detailed Images to select your engraving font. 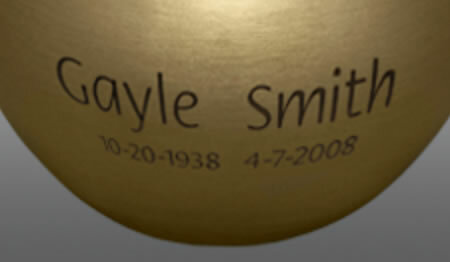 Engraving area measures about 2.5"H x 4"W. The engraving can be oxidized (blackened) to stand out or just be bronze on bronze which is very readable but more subtle (see examples below photo of urn). Please limit each line of engraving to no more than 30-35 spaces per line. 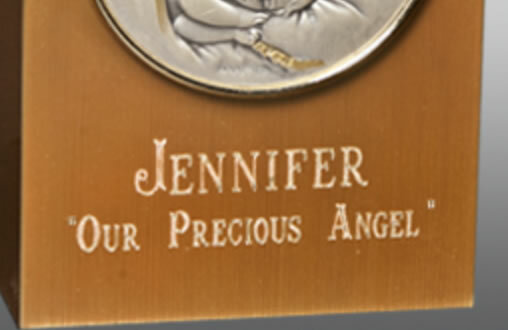 An engraving proof will be emailed for your approval prior to the urn being engraved and shipped. Please allow one day after the proof is approved before the urn ships. Non-engraved urns usually ship same business day if order is placed by noon Eastern Time.